Azurite guides psychic and intuitive development. It is a very powerful crystal for the activation of third eye chakra, it also helps in getting the spiritual guidance from spirit guides, angels and masters etc. 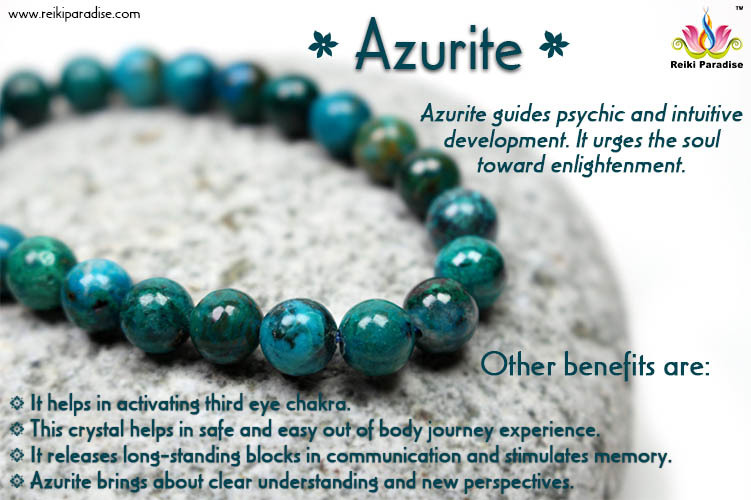 Azurite enables safe and easy out of body experience. Out of body experience help us to feel the universal energies. Azurite helps the soul toward enlightenment. It raises consciousness to a higher level and gives greater control over spiritual unfoldment. While doing meditations you can keep this crystal with you as it helps in entering a meditative and channeling state. Azurite is a powerful healing stone, and these days many healers are using this for the higher dimension healings. Azurite also comes with a mixture of malachite, these mixed pieces are very good in handling spirits and black magic related cases. Azurite is a deep blue color crystal and mainly found in USA, Australia, Chile, Peru, Russia and Egypt. Azurite brings about clear understanding and new perspectives, and expands the mind. It helps in releasing old belief systems which creates hindrance in our lives; it also helps in increasing memory power. Azurite works wonderfully in case of neurological issues like depression, fear and phobias, and brings in understanding of why they occurred in the first place. It calms someone who talks too much out of nervousness, or encourages someone who holds back from self-expression. 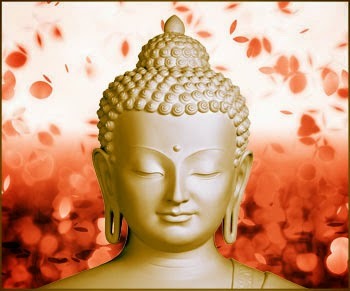 It gives a very smoothing effect to mind and helps in understanding the situations in a better and broader prospective. Azurite comes in different forms, like roughs, balls, dumbles, chipsets etc, but the best form of Azurite is Rough. Rough means the natural shape of crystal without any modification etc. Azurite treats throat problems, arthritis and joint problems, aligns the spine, and works at a cellular level to restore any blockage or damage to the brain. It heals kidney, gallbladder, and liver problems, and treats the spleen, thyroid, bones, teeth, and skin and aids detoxification.